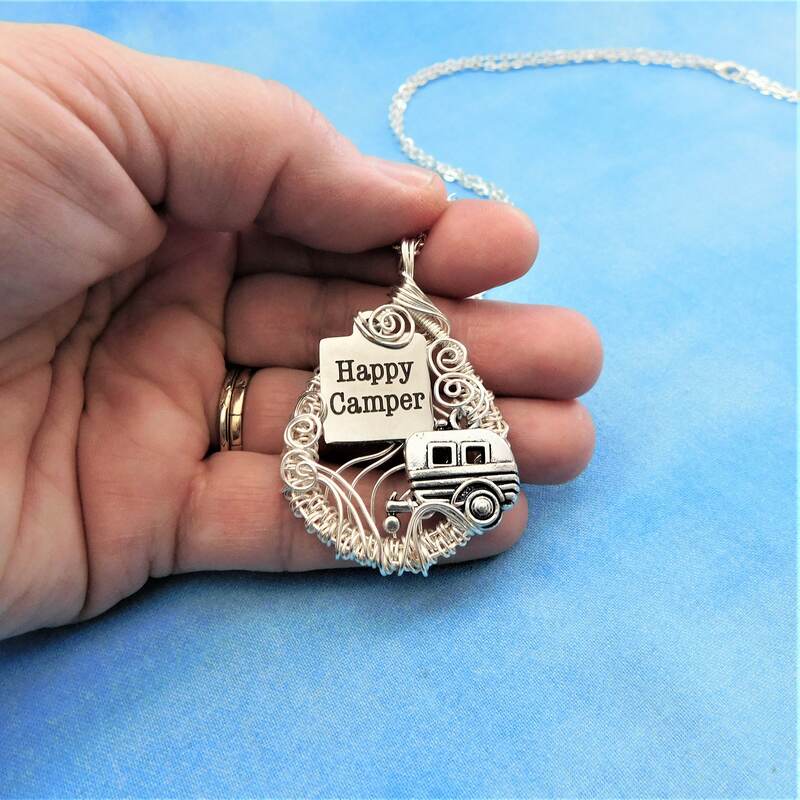 A vintage travel trailer parks under the declaration that a "Happy Camper" is rolling by. 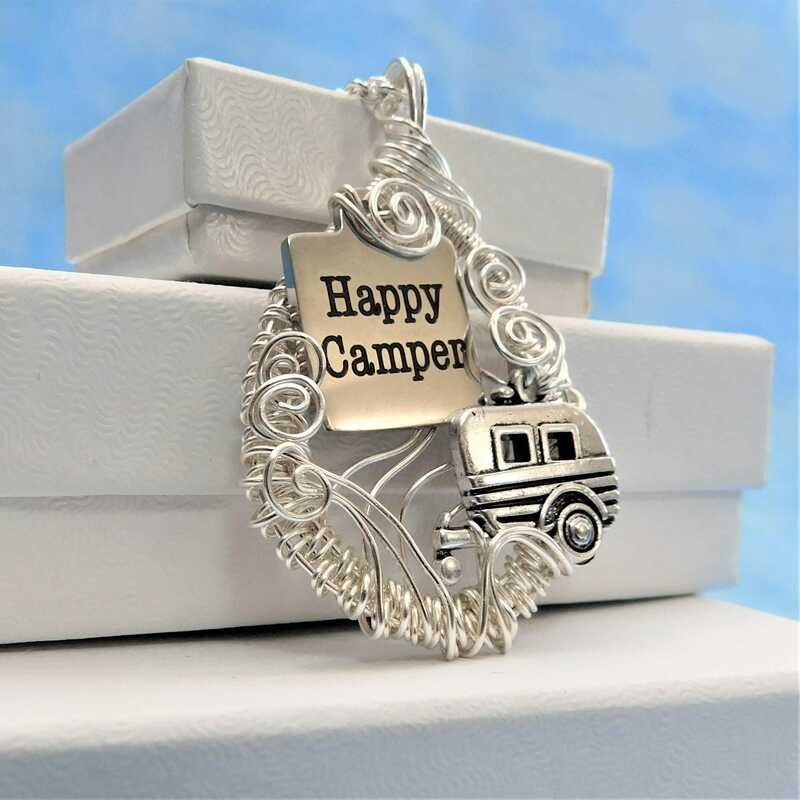 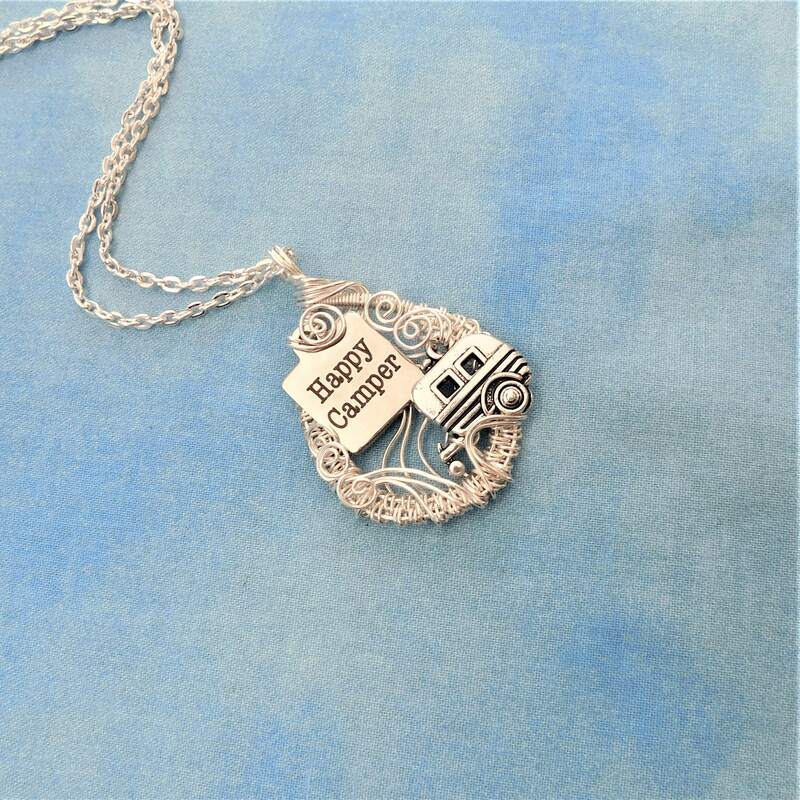 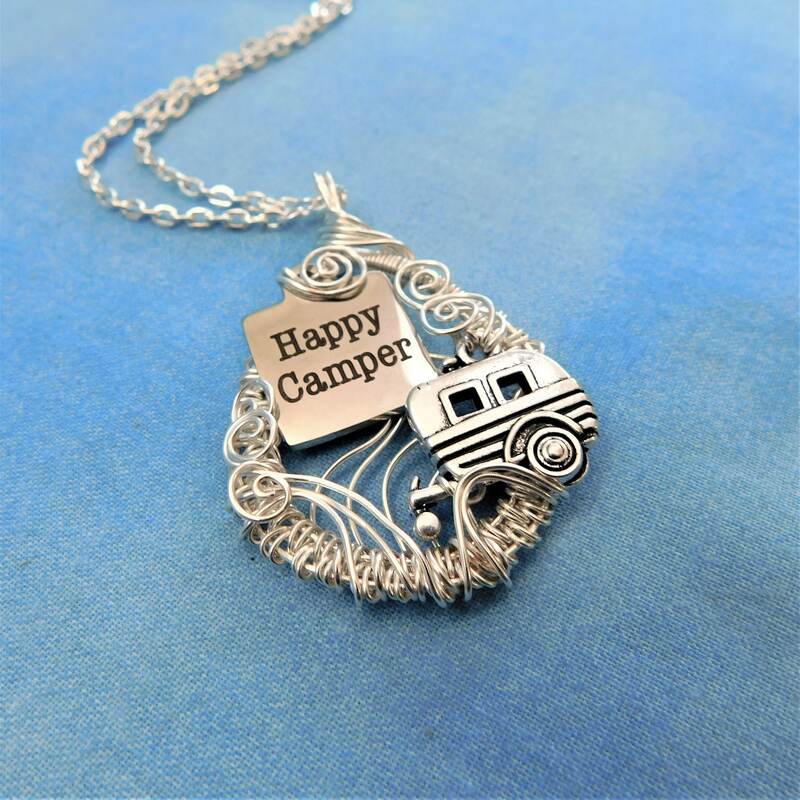 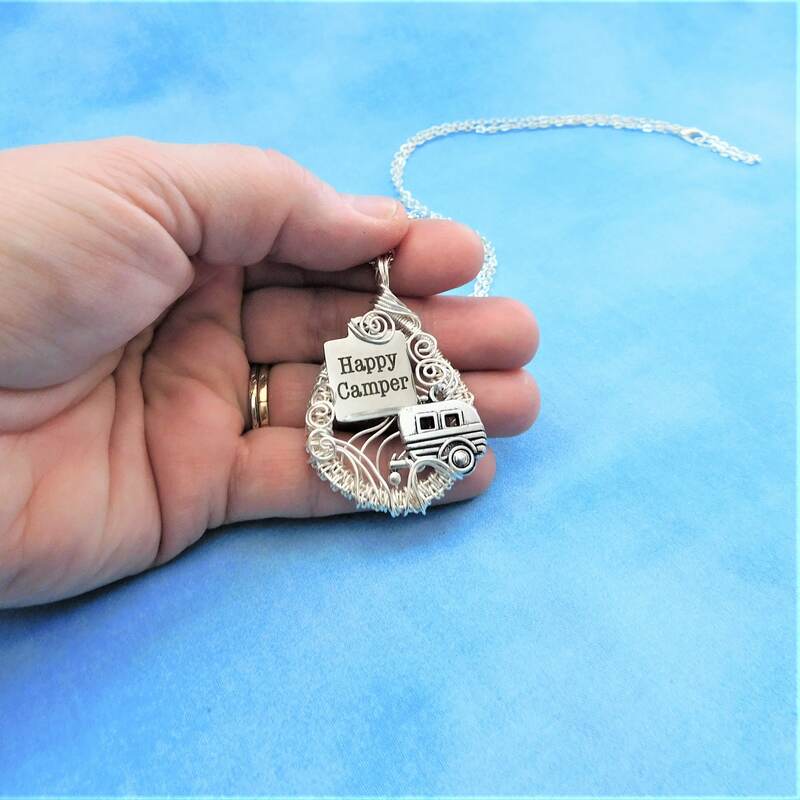 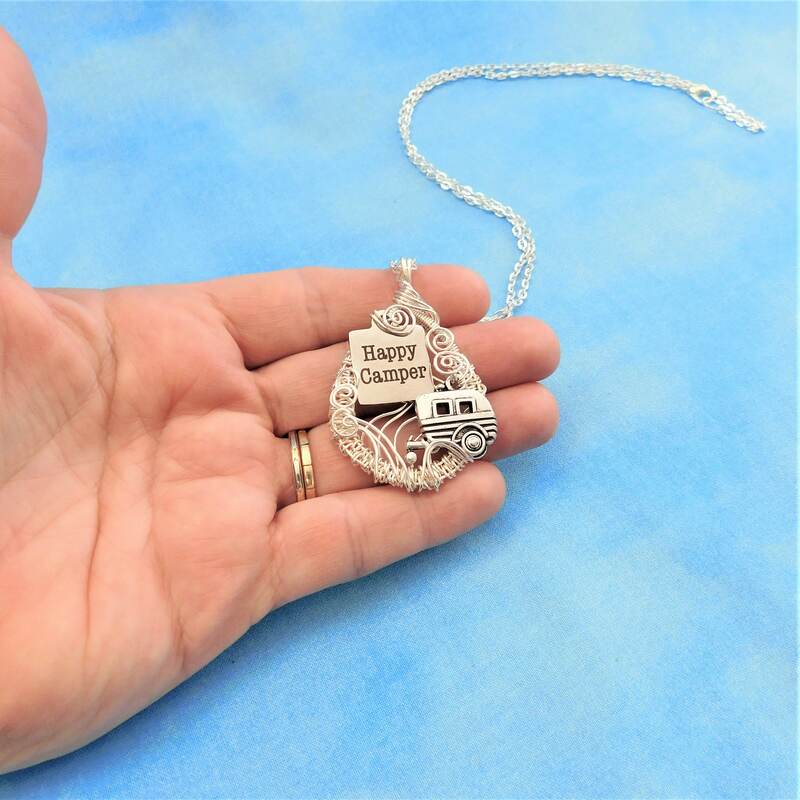 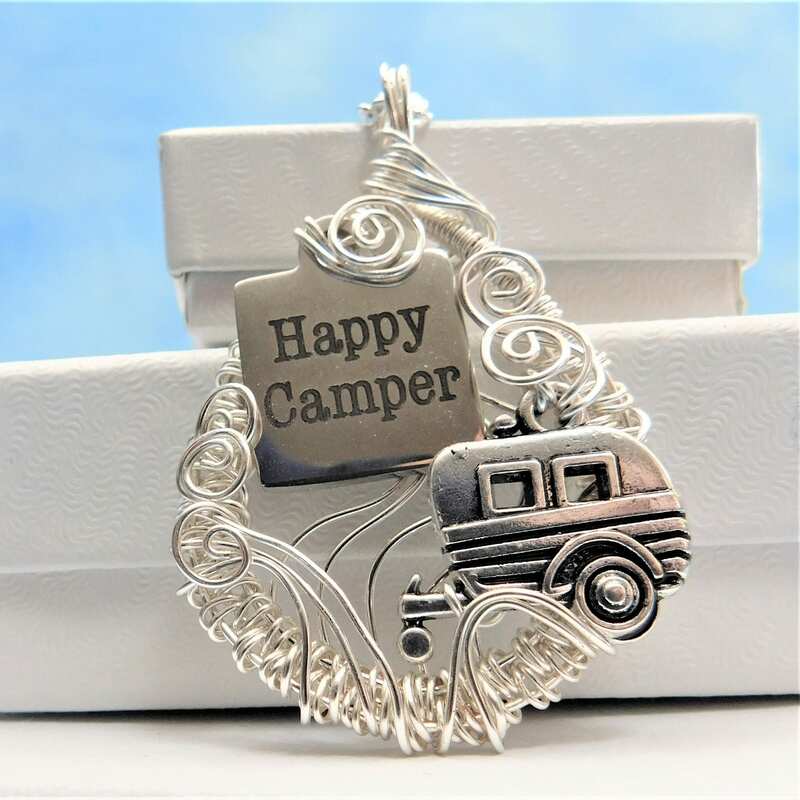 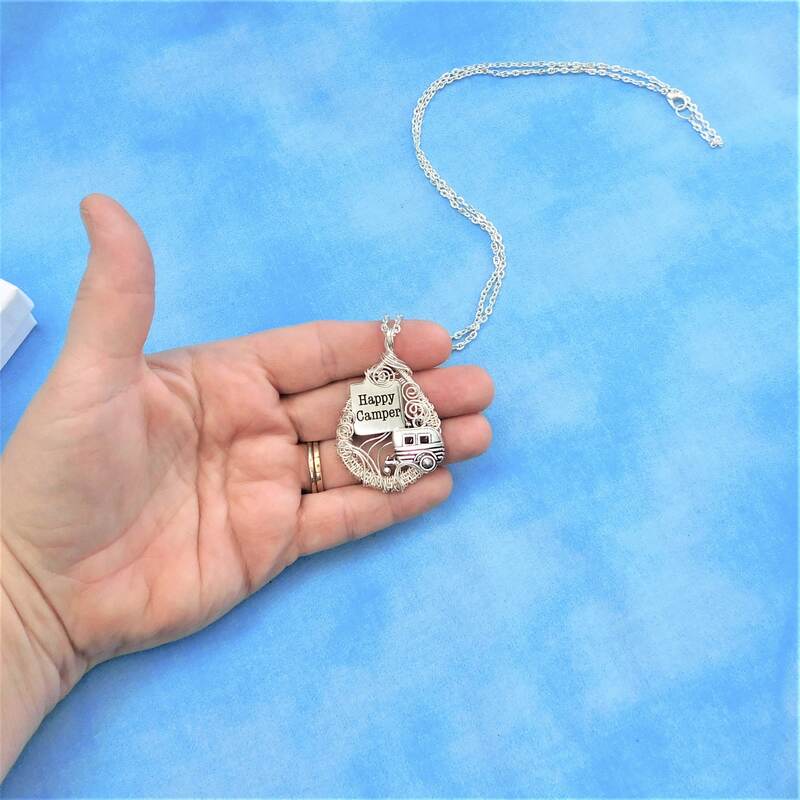 This unique themed pendant is perfect for any woman who loves camping, traveling, or wandering highways and by-ways. 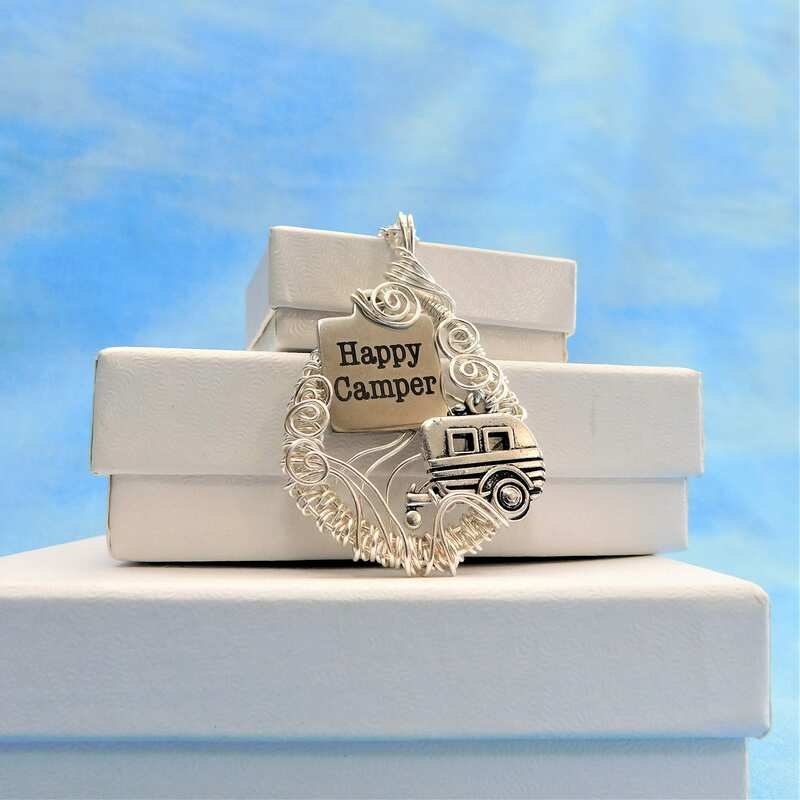 It would be a special gift for retirement, or any occasion that celebrates living life to the fullest. 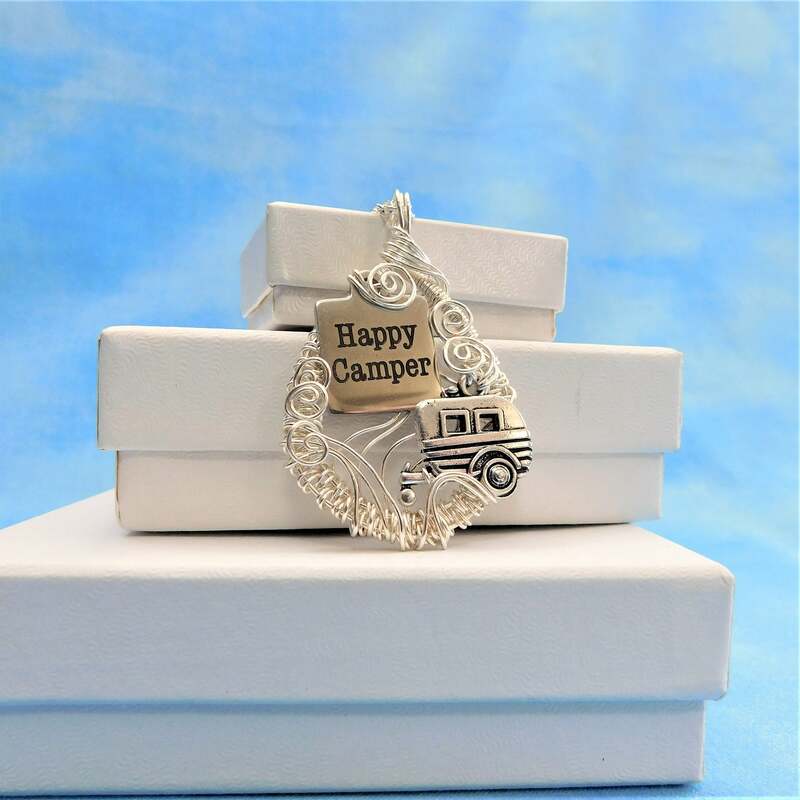 The hand woven wire frame measures 1 3/4 inches long by 1 1/4 inches wide and comes with a FREE coordinating chain with lobster claw clasp, measured to your preferred length.